After our early start on Saturday 4:30 felt like it came a little early on Sunday morning so I pushed the snooze button a couple of times. 5:00 felt much better for getting up and going fishing. It is a bit of a drive to get to Cow Creek Bridge on the Imnaha River. If I only wanted to get to the river at the town of Imnaha, I could be there in about two and half hours. The rough and bumpy Doug Bar Road adds about an hour to the drive even though it isn’t that long. We arrived at the trailhead late morning and some people were already driving out for the day when we arrived. 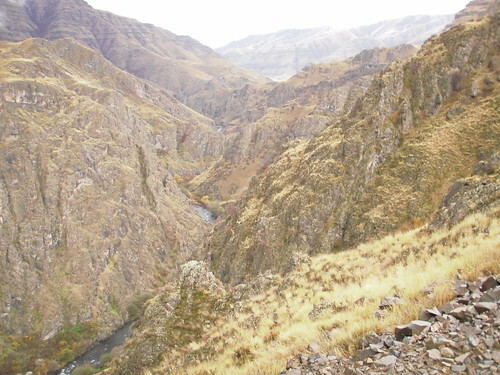 Happily, it was much warmer on the Imnaha then it was on the Grande Ronde. Since the kids didn’t need to take their “snow pants” to keep warm, they just wore their fishing vests and I packed everyone’s lunch in my backpack. Steelhead fishing was again off to a slow start though and it was probably 1:00 before I hooked into the first steelhead of the day. This was a wild hen that I got to the edge of the river before my egg fly came loose and she swam back into the deep pool. 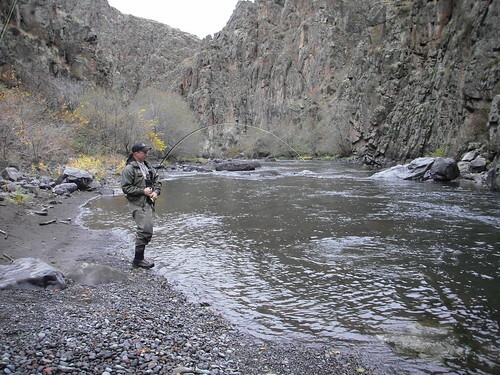 The next fish was beneath some fairly fast and deep current and it took the flashback stonefly. 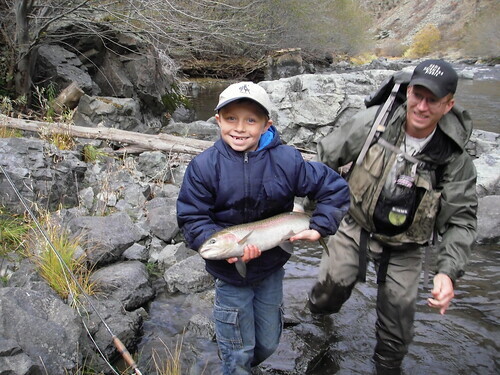 I hooked and landed several more steelhead that day but the highlight was Mason catching his first steelhead. We were a little over two miles downriver. We stopped at a very small run that was my #1 producing spot last year. This year I have only caught one fish out of it although I have fished it thoroughly many times. I let my wife fish last years #1 run first before I began to double check it for fish. I barely made my second cast when the boys all started yelling with excitement that Mason had hooked a steelhead. To make a long story short, Mason got it landed. To say the least, he was a little excited even though his arm was pretty wore out from the battle. I was excited as well. Congrats on a great catch Mason! Great job dad! I just found your blog a couple weeks ago. You are all awesome! Congratulations to your whole family! So what was the ambient temperature and water temp? Sorry, although I often do check the temperature, I didn’t that day. What a great pic! Found your blog on OBN. Very nice. I will keep my eye on it.